Yet mere Abstinence is not enough to win a License Appeal. A person must not only be Abstinent, they must be Sober, as well. This article will examine how these two terms are related, and the important way in which they differ. It is rather likely that the reader who is really “Sober” already understands the difference quite well, and this piece will do little more than vainly demonstrate to them that I do, also. For the reader who is curious about the key difference between the terms “Abstinence” and “Sobriety,” they will either find that they their Abstinence includes Sobriety, or they will find that they are coming up short on the most important component of a Driver’s License Appeal. As a Driver’s License Restoration Lawyer, I must make sure any License candidate I Represent is both Abstinent, and Sober. When my Staff takes a License Appeal call, one of the very first questions they will ask is when the caller last consumed alcohol. 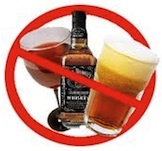 While the answer to that question does not really address the issue of Sobriety, a person will need to have been alcohol-free, generally speaking, for a minimum of 1 year, and have been off of Probation or Parole for at LEAST 3 or 4 months in order to file a License Appeal. As much as Sobriety involves the complete abstinence from alcohol (and any and all mind or mood-altering substances), it is also a state of mind. Sobriety, for the person in Recovery, brings a boatload of benefits. Obviously, Snake has explained his Abstinence. He knows he needs to stay clean. He has articulated how the threat of legal and punitive consequences acts as a disincentive strong enough, at least for now, to keep him from drinking. Yet Snake hasn’t said one word about Sobriety. Nothing in his story even hints at his ever experiencing a second of real “Sobriety.” In fact, it is rather clear to anyone who knows anything about real Sobriety that Snake is a million miles from it. This kind if sentiment is pretty much shared by everyone who has found Sobriety, including both those that find support and help at AA, and those who are able to maintain their Sobriety without going to AA. The latter may not be as obvious as the first, at least to those whose Recovery didn’t hinge upon AA attendance. It simply means that once a person really gets Sober, as opposed to just merely becoming abstinent, and they experience the kind of positive life change that our imaginary character Rhonda Recovery described, they are, at the core of all such feelings, deeply grateful for it. And “life changing” really describes Sobriety. Sobriety is, in every respect, a monumental life change. Abstinence is a change in behavior, if not habit. Sobriety is a change in outlook. This explains why the State is so interested in Sobriety, even though through the Rules governing License Appeals, it only uses the term Abstinence. One of the best predictors of a person’s continued and future Abstinence is not the extent or length of their past period of Abstinence, but rather if that Abstinence is a component of real Sobriety. Bear in mind that the single, most important legal issue in a License Appeal is whether or not the person’s alcohol problem “is likely to remain under control.” As I pointed out in the preceding article, in order to win a License Restoration Appeal, a person must prove their case “by clear an convincing evidence,” and the crux, or heart of a License Appeal is proving that the person’s alcohol problem “is likely to remain under control,” meaning that they can prove, by clear and convincing evidence, that they are a safe bet to NEVER drink again. In this regard, real Sobriety manifests itself in what is known as a Sober Lifestyle. I will defer here to the information laid out in the linked article, as it goes into significant detail explaining how and why a “Sober Lifestyle” is so important in a License Appeal. Here, we can just observe that a Sober Lifestyle is how a person who is truly Sober lives their days, and it is seen by everyone involved in the process as not only the best evidence of true Sobriety, but the best predictor of continued, and hopefully lifelong Abstinence. As I noted near the beginning of this article, there is really little new here for anyone who is truly Sober, although I have encountered no small number of Clients who have established a Sober Lifestyle without giving much thought to it. In a way, that becomes the same thing as good oral hygiene. I have never forgotten, not do I know anyone who ever forgets to brush their teeth before they leave home in the morning. It just happens, kind of as if on “auto pilot.” In that regard, some people are able to look back at how they were before they quit drinking, compare that with what they’re like now, and come to realize that, more by instinct than by thought, they have established a Sober Lifestyle. In those cases, my job as their Lawyer is to help them look back and put the words to their story of Recovery, and their transformation from drinker to non-drinker. In any case, the end result is the same: Sobriety necessarily means being Abstinent, while Abstinence alone does not necessarily include Sobriety.